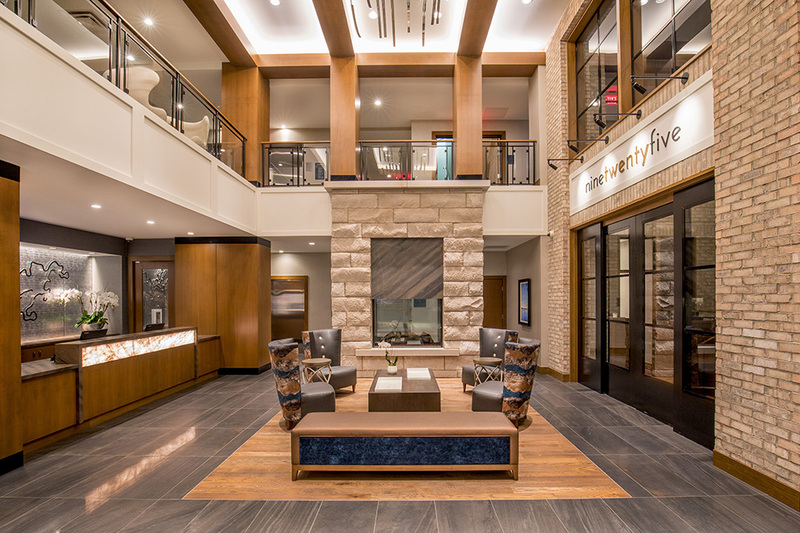 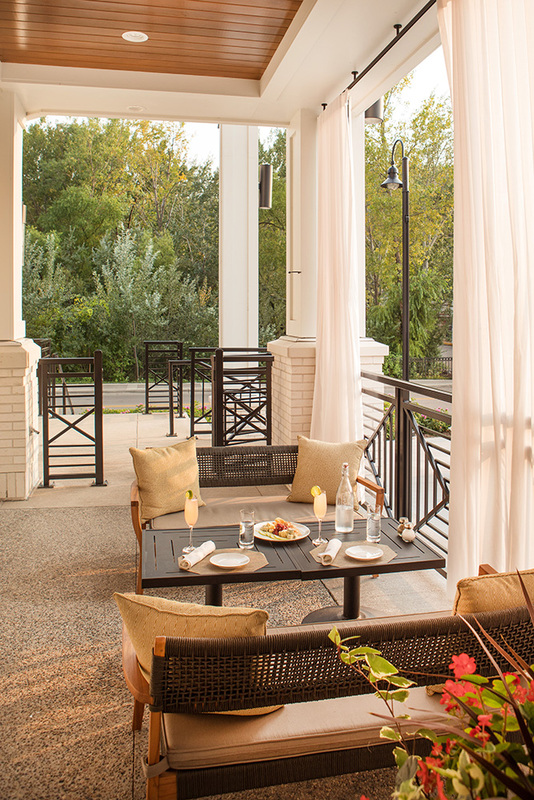 Under the ownership of BohLand Hotel Group, the two-level restaurant nestled inside The Hotel Landing gives Lake Minnetonka residents, hotel guests, and surrounding community members a new option for an elegantly casual restaurant experience. 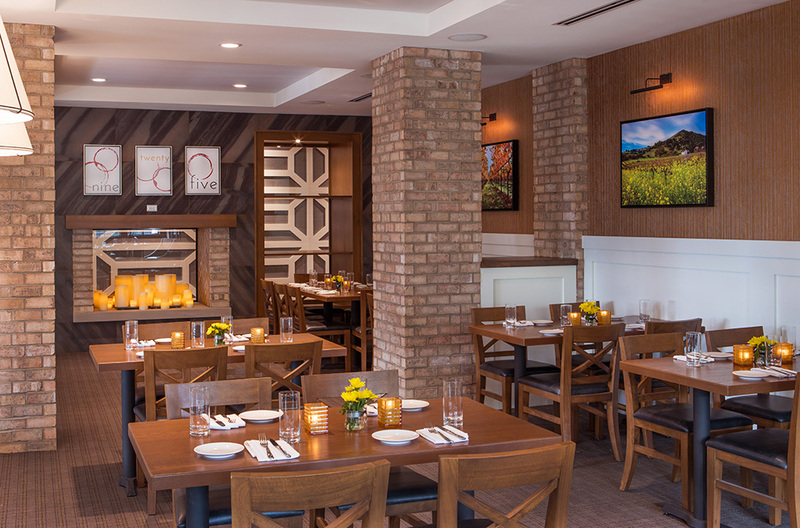 The modern dining room has a double-sided fireplace and two floors of patio dining & lounge seating, a kissing booth that seats up to six guests, and a wine room featuring an extensive wine case and a communal table for 12.
ninetwentyfive features New American cuisine, assimilating flavors from traditional American cooking techniques with fresh, high-quality regional meats, cheeses and produce. 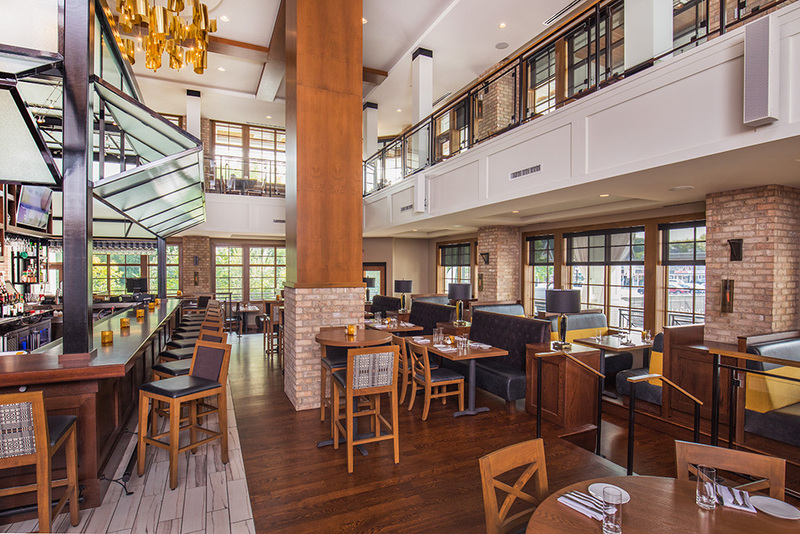 Guests have plenty of options to choose from with the restaurant’s wide variety of food and beverage menus.